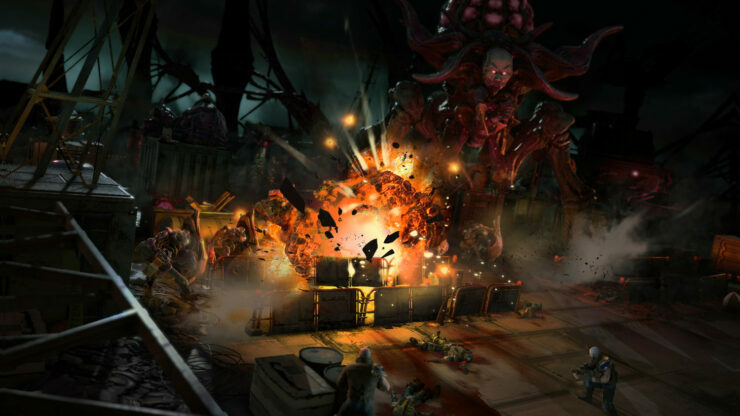 Phoenix Point, the X-Com spiritual successor currently in development by Julian Gollop’s team, will not release later this year as originally announced. In a fresh blog post, it’s been confirmed that the strategy game will be released in June 2019 in order to realize its potential. I believe we can create a game with high production values that will make a huge splash on launch. In order to achieve this we need to continue to expand the team and maintain our focus on quality. To be honest, this has been a slower process than I wanted, but I felt that we needed the best talent that we could find. I am glad to say that we now have 35 great developers in our Sofia studio, and as a consequence of our recent, excellent exposure we are attracting offers of help from game developers around the world. All backers who have pre-ordered the luxury digital edition will also receive a new backer build at least once every two months up until release. Details of the Backer Build 1.2 have also been shared. If you have a gamepad that’s not compatible with the XBox Game Controller (XInput controller) your may have strange camera behaviour (e.g. camera goes constantly in one direction). Use the options screen to disable the gamepad input. [Linux] When typing in the issue reporting tool each letter appears twice. Just type your report in an external tool and use ctrl + v to paste it in the box. Phoenix Point launches next year on PC.